Niche's trained, skilled staff members carry out our SMT manufacturing with consistency and precision using state of the art equipment. Our high-speed surface mount lines support the industries latest package configurations. From Micro-BGA, LGA, ultra-fine pitch integrated circuits to passive case sizes down to 0201. Solder paste inspection, long chamber convection reflow, thermal profiling tools give our team the process flexibility to build a wide range of assembly challenges. We have extensive experience processing rigid, rigid flex, flex, hybrid and metal back PCB constructions. Our equipment and processes support RoHS and Non-RoHS technologies. Water soluble and No-Clean flux chemistries. Niche's trained, skilled staff members carry out our Through-hole manufacturing with consistency and precision. 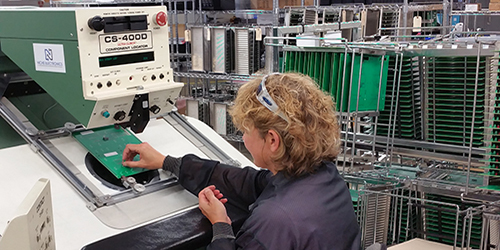 Our team members are trained to the industry standards by our in-house J-Standard 001 / IPC-610 Certified trainer. Axial and Radial lead forming equipment , semi-automatic component locators ensure consistent product results. Soldering is preformed using our selective soldering equipment. 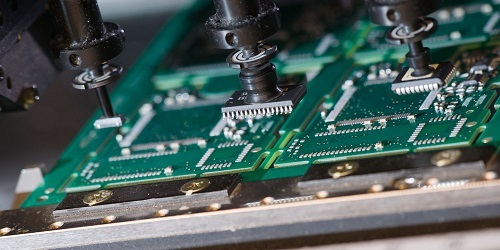 Our equipment and processes support RoHS and Non-RoHS technologies. Water soluble and No-Clean flux chemistries. 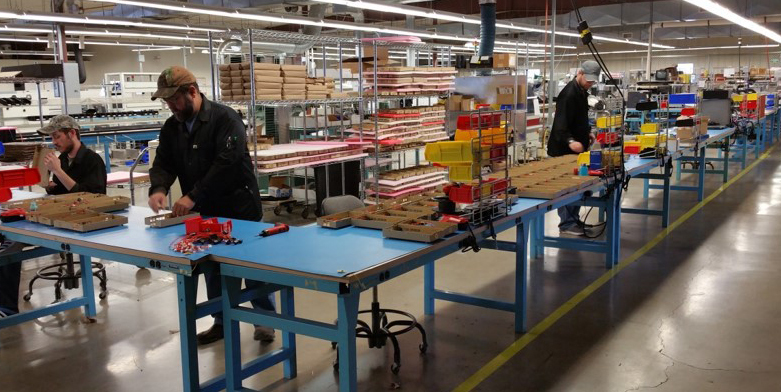 Niche Electronics uses a cellular manufacturing approach to provide flexibility in our systems integration / box build environment. Self-contained manufacturing cells are designed to meet product requirements, yielding a tightly controlled solution across the entire assembly, test, configuration, and packaging processes. These flexible cells are configurable and adaptable to our customers fluctuating production needs.